Read about the time of Norah’s life! Home > Blog > Read about the time of Norah’s life! “Hi, I’m Norah. I am 10 years old and according to my Mom, going on 16. I just got back from Camp Eagle Ridge in Mellen, WI. Those two weeks of camp were the BEST weeks of my life. You see, my little brother William, who I affectionately call my Little Bother, has Down Syndrome, Autism and seizure disorder. William has taught me more than I’ve taught him. He has taught me patience, unconditional love, empathy and understanding of those who are different. My Mom and Dad do their best to give both William and I equal time. I know my Mom and Dad love me so much, but William does take a lot of their time. I get it! My Mom was diagnosed with Multiple Sclerosis when William was just 15 months old. M.S. has taught our whole family patience and caring. My Mom had to leave her career of 25 years because of M.S.. It sometimes makes her very tired, unable to walk, or unable to remember things. My Mom is the strongest person I know. She laughs at herself and let’s us all just relax. Even if she is tired or weak, she still finds time for me and William. Which brings us to camp. Camp gives me TWO WEEKS JUST ABOUT ME! It’s like reverse respite for me. It allows me to do what ever activities I want. I get to try so many new things that I’d otherwise never have a chance to. I get to meet new friends from all over. I think these friends will be part of my life forever! I miss my family when at camp, but I am learning so much and becoming a leader when at camp. Camp has taught me so many Leadership Skills. From deciding what activity to do, to working as a team during some games, trusting in other friends or just listening to others ideas. These skills will help me forever. In Grade School, High School, College and my career. My family’s love, guidance, patience and honor, along with the leadership skills, independence and self confidence I learn at camp, will help me to succeed in everything I am presented with in life. I love my Family and I love Camp! Thanks again for your submission, Norah! I’m glad you got a chance to take a break from your family (as much as you may love them). Summer camp is great for showing you a different side of living than what you’re used to! Your family sounds so strong and close-knit! It must have been good to get back to them when your two weeks came to an end. 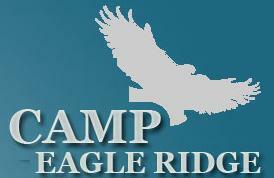 To anyone else interested in Camp Eagle Ridge, be sure to check it out sometime and, as always, thanks for reading!